Hasn't the weather just been gorgeous dahlings?! Maybe no more 90° days for a few weeks, but the weekend will still be good for wandering and eating, and there will be two delicious food events going on that both of us want to hit up. First up, the Brooklyn Flea is back in Ft. Greene this Saturday, and continuing at One Hanson Place on Sunday. 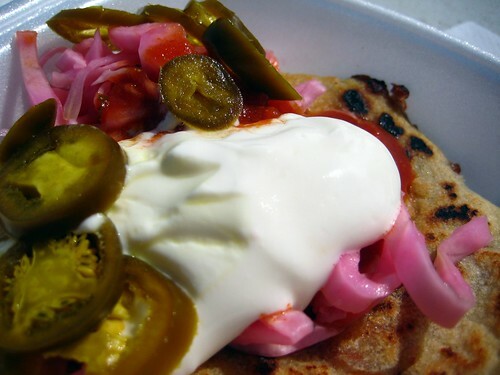 Unfortunately for those us with wonderful memories of eating papusas underneath the Brooklyn Bridge, there's no DUMBO flea this year (sad panda.) We will just have to console ourselves with popsicles and chocolates. 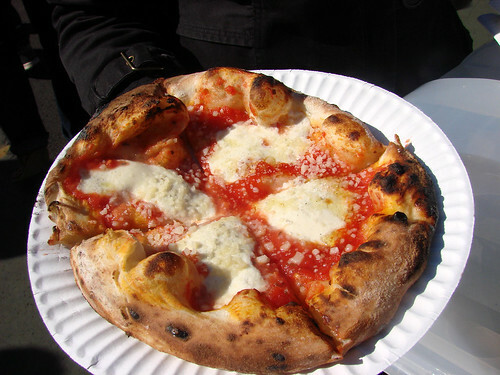 A good amount of food vendors will be on hand both days, but for detailed lists check out www.brooklynflea.com. For maps and directions, click here. 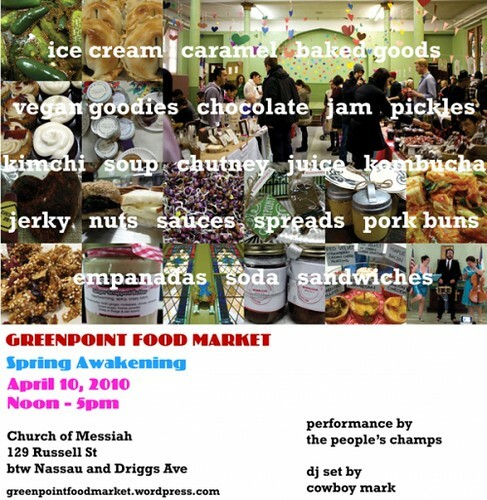 Another market completely worth checking out is the Greenpoint Food Market. The list of independent foodies is sort of insane: Anarchy in a Jar, Sour Puss Pickles, Milkmade Ice Cream, this market is expanding and just keeps getting better. Unlike the Flea, this is only tomorrow, Saturday, from noon to 5pm, at the Church of the Messiah, about eight blocks from the Nassau Ave G station, and across from the nicer Greenpoint park.